Dina Landi and Rebecca Riskin of Riskin Associates support the PPF at the Royal Ball. Set on the bluffs overlooking the Pacific ocean, ten minutes north of our office in Montecito, the beautiful Bacara Resort & Spa hosted the Pacific Pride Foundation's annual Royal Ball. Event planner extraordinaire Merryl Brown created a magical evening full of surprise for over 500 guests. Rebecca Riskin attended along with partner Dina Landi of Riskin Associates to support the Foundation, which provides services to the HIV/AIDS and LGBT communities of Santa Barbara. The event was hosted by an impressive list of honorary chairs including actor Neil Patrick Harris and his husband, Iron Chef Cat Cora and her wife and a number of other prominent members of the LGBT community and straight supporters. A feast for the senses, guests enjoyed a delicious offering of culinary creations including short ribs and onion rings resting atop a bed of mashed potatoes, elegantly served in martini glasses. 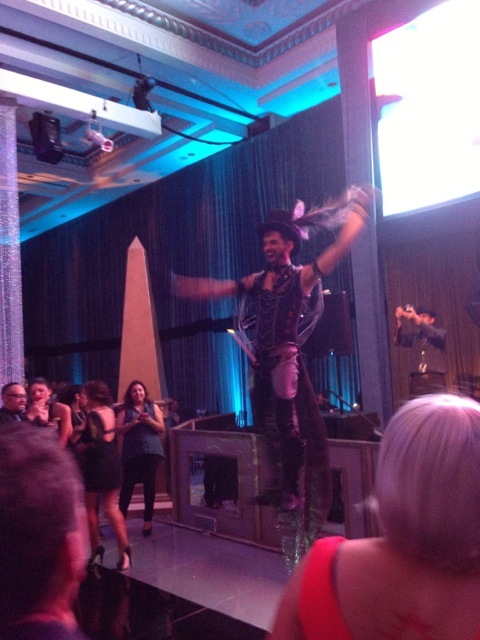 American Idol alum Miss Frenchie Davis performed along with extreme stilt performers, torque acrobats and go-go dancers who wowed guests with their own incredible performances. Acclaimed LA DJ Mike Bryant ensured the dance floor was packed well passed the stroke of midnight. The ball brought together a community of gay, lesbian, bisexual, transgender, and straight supporters to share an evening of fun and fundraising in support of the Pacific Pride Foundation. The Foundation is the only organization on the central coast providing the LGBT community with HIV and AIDS services and education as well as a number of important counseling services for members of the community such as sensitivity training for law enforcement and teens.